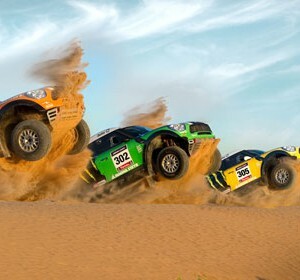 The German X-Raid team will again contest for a title in legendary “Dakar” which the team won together with Stephane Peterhansel / Jean Paul Cottret on the wheel of Mini All4 Racing in 2012 and 2013 editions. Besides, the team will try to improve the team results and to win all podium of “Dakar-2014” together with other crews which have joined the team. Russian “duo” Vladimir Vasilyev/Vitaly Yevtekhov has all chances to show a good result in Dakar-2014 and the training course in Germany have proved that Russians are in perfect shape! From November 26th to December 5th all the team spent some days in X-Raid workshop in Trebur where pilots and co-pilots have passed the technical trainings and medical examination, and then together with skilled instructors crews moved to the German city of Trier for intensive “fitness week”. The various program included the whole complex of exercises on endurance and physical preparation, cycling, sports quests, mixed shooting, karting and other actions. 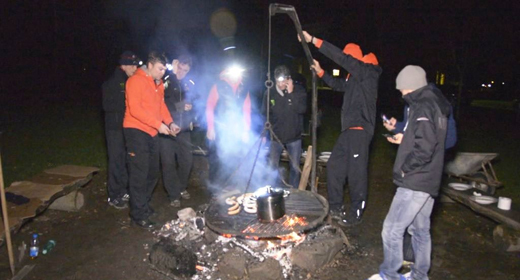 In addition, crews spent two days in the camping where they cooked food, organized their time and continued training. 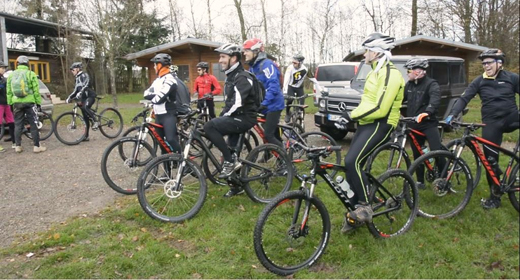 “X-Raid organized a perfect training. We worked for technical aspects with car repair, changed different parts, then we passed medical examination, and trainings in mountains allowed to fix physical preparation for upcoming Dakar. We passed about 40 km each day by bicycles on mountain and trial tracks, so in my final plan now is just one rally training in Russia before the departure to Argentina. Generally I can say that the preparation is complete” Explained Vladimir Vasilyev. “Impressions are very positive The first days were physically heavy, we did trainings with bicycles and it was quite hard. Mixed shooting was pleasant for me, as well as karting and it is very important that we became closer with the team, all pilots and co-pilots. It is true, that the team spirit is perfect now!”. Told the co-pilot Vitaly Yevtekhov.